In reading descriptions about this drum, the model #'s JJ-1365 and JJ-1355 seem to intermingle. I'd asked the seller (on an auction sight) about the difference and how to distinguish the difference. Both models look the same, but the seller spoke of the JJ-1355 being a cheaper version. When I asked, they were on the defensive asking me, "What are you trying to say?" This response left me to believe that they were blowing smoke up proverbial holes. If you could get to the bottom of this, I'd greatly appreciate it. My angle here is to avoid a possible purchase of knock-off and/or poor quality merch. Thanks so much! 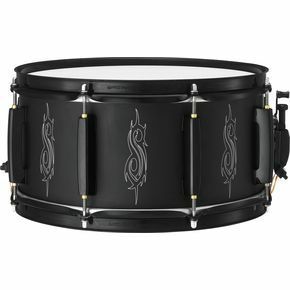 btw, I'd called Pearl and they have it as 1365...for the diameter and depth of the snare. I am a bit confused by your question--is someone trying to sell you a model 1355 and you are wondering about the difference? I did a ton of research and I think that the models are exactly the same. In fact, some articles mention the same exact drum by both names. Since Pearl themselves say it is JJ-1365, I would think that this model number is the correct one. As far as the seller questioning your motives, in my opinion, a seller who becomes upset by honest questions is not one to be trusted. Since the drum is not that expensive, maybe the best bet is a new one. I hope this helps. If not, maybe you could further clarify the situation?